This study is an investigation of the factors responsible for the linguistic shift from Rendille to Samburu by persons who claim a Rendille identity and are, therefore, expected to speak Rendille language. The two languages belong to different language classification groups; the former is Cushitic while the latter is Nilotic. 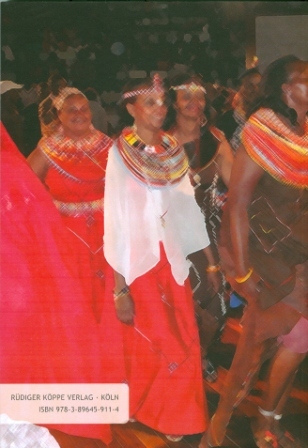 The study had four objectives: to investigate the motivation(s) behind the Rendille–Samburu language shift; to identify discernable stages (phases) in the Rendille–Samburu language shift; to assess the impact of the language shift on the structure of Rendille language; and to establish whether or not ability to speak Rendille language is a useful factor in determining the Rendille identity. In order to address the research questions and the objectives of the study adequately, the author adopted an eclectic approach that comprised of Giles, Bourhis and Taylor’s (1977) Model of Language Shift and Vitality and Fishman’s (1980) Bilingualism vs. Diglossia Model. Each of these models played an indispensable role in the study. The study took the form of a field work survey with a mixed research design. Six settlements located within the Rendille territory in Marsabit District, Northern Kenya, were identified from which we picked respondents mainly through stratified and judgement sampling techniques. The settlements included Hula-hula, Karare/Songa, Log-logo, Laisamis, Kor and Kargi. Data collection was done using questionnaires, interviews, observations and focused group discussions and analysed by use of simple frequency tables and thematic analysis. 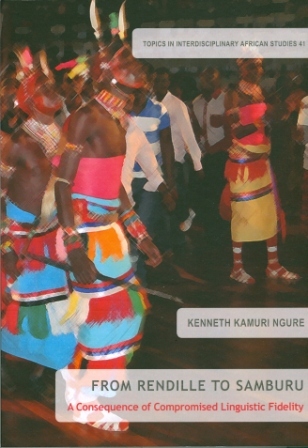 Dr. Kenneth Kamuri Ngure is a member of the Department of English and Linguistics, Kenyatta University, Nairobi/Kenya. His research interests include Language endangerment and revitalization, Language contact, Language and identity, Mother tongue education, Linguistic human rights, Language policy and planning, Language teaching to refugees and asylum seekers, and Bantu and Cushitic phonology & morphology.